On Friday, January 4, Ford announced that it would be recalling close to 1 million of its vehicles due to exploding Takata airbags, Newsweek reports. Of those 953,000 vehicles, 782,000 are in the U.S., making this part of the largest series of recalls in American history. 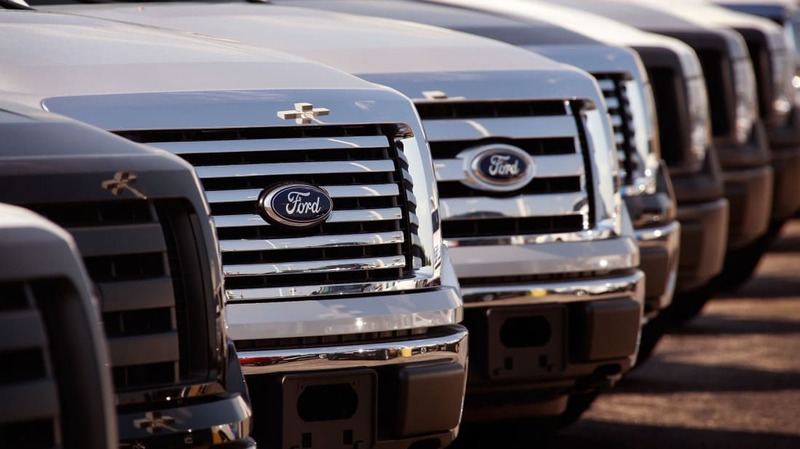 Affected Ford models include the 2010 Ford Edge, the 2010 and 2011 Ford Ranger, the 2010 to 2012 Ford Fusion, and the 2010 to 2014 Ford Mustang. Ford mailed out a notice to all owners of the vehicles included in the recall, but even if you didn't receive one, you can confirm whether your car is in need of service online. After heading to the recalls page of the National Highway Traffic Safety Administration's website, enter the 17-character vehicle identification number (VIN) printed on your car's windshield and registration card. This should tell you whether or not your vehicle is safe to drive. If your car is on the list of those models affected, contact your nearest authorized dealer to make an appointment to have the airbags replaced (which should be done at no cost to you). The NHTSA's recall database includes all cars impacted by the Takata airbag recall—not just Ford models. Other models to look out for include the 2006 Lincoln Zephyr, the 2007 to 2011 Lincoln MKZ, the 2007 to 2010 Lincoln MKX, and the 2006 to 2011 Mercury Milan. According to the administration, there are roughly 37 million cars with the faulty airbags still on the road. Audi, BMW, Jaguar, Land Rover, Mercedes-Benz, Mazda, Mitsubishi, Toyota, and Volkswagen are among the brands that have been affected. The airbags being recalled depend on a small explosion ignited by the chemical ammonium nitrate to inflate during a crash. When subjected to heat and humidity over time, the airbags can degrade, potentially causing the canister that's meant to contain the explosion to rupture and shoot bits of metal into the vehicle. The issue with these airbags was first reported by The New York Times back in 2014, with various recalls issued in the years since. More than 20 people have reportedly died as a result of the malfunction, and hundreds more have been injured. Takata will be continuing the recall effort now through 2020.